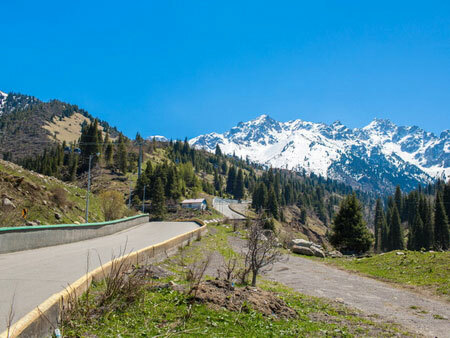 In the second half of XIX, when the town of Verniy was founded (which later was renamed Almaty), in some kilometers from the town, the aul was built between mountain slopes. The founder of this settlement was the respected entrepreneur Medeu Pusurmanov. After his death the gorge, where the aul was located, was named after him (and later one of districts of Almaty was named in his honor). Not long after in the gorge there was built the health resort and in 18972 the sporting complex “Medeu” was opened, which obtained the worldwide recognition. During its existence it was awarded to epithet “fabric of records” – more than 120 records were established here. They attribute this to that it is placed on the height of 1691 meters above sea level, and the ice of the skating rink is made of pure mountain water, free of salts dashes. It is the characteristic of ice surface of rink that provides the best results. 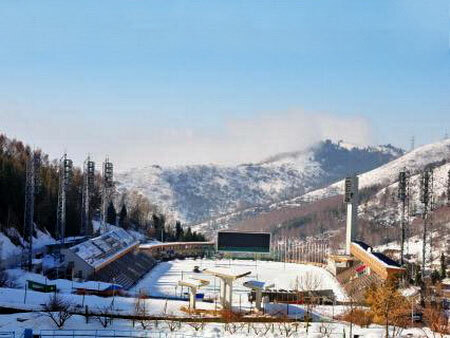 Thanks to that it is placed in 15 kilometers from Almaty, and due to big area of rink (10000 sq.m. ), Medeo became the popular place of rest for many residents and guests of Southern Capital. The skating rinks works everyday, 8 months in a year. In near future it is planned to construct the dome, which will allow the whole year round operation of the skating rink. 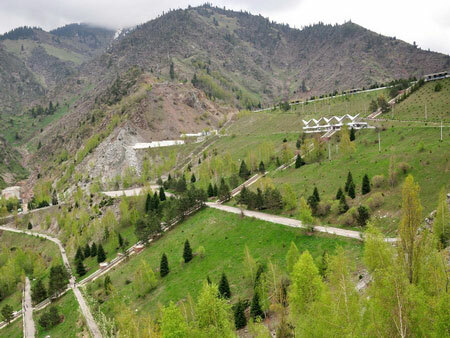 A little higher the gorge there is the mud dam and the ski base Chimbulak, which is also very popular among residents of Almaty. By the way, there is the stairs, which leads to the dam, consisting of 842 steps, and on which the competitions on speed climbing are held very often. More than hundred years passed after death Medeu, but the memory of him and his acts will remain not only in his children but in the gorge, named after him and in the skating rink, which became the national patrimony.